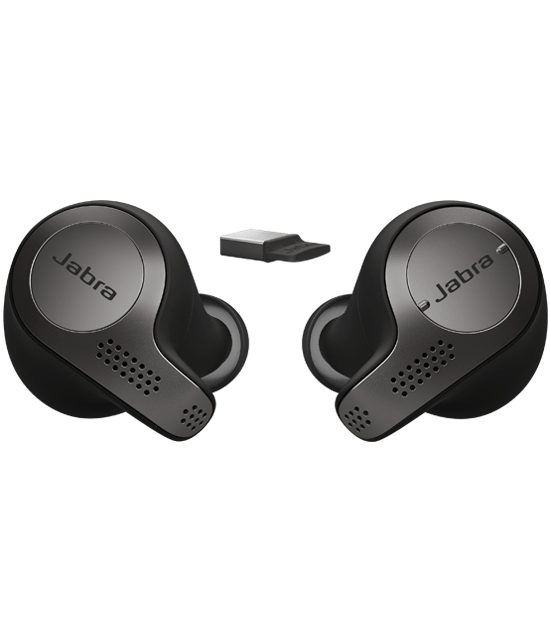 Jabra, a unification communications sound solution company, launched the Evolve 65t wireless earphones designed for mobile professionals Nov. 27. The Evolve 65t comes in a lightweight pair, with the right earpiece weighing 6.5g and the left earpiece weighing 5.8g. The earphone inserts are padded with silicon rubber ear gels. 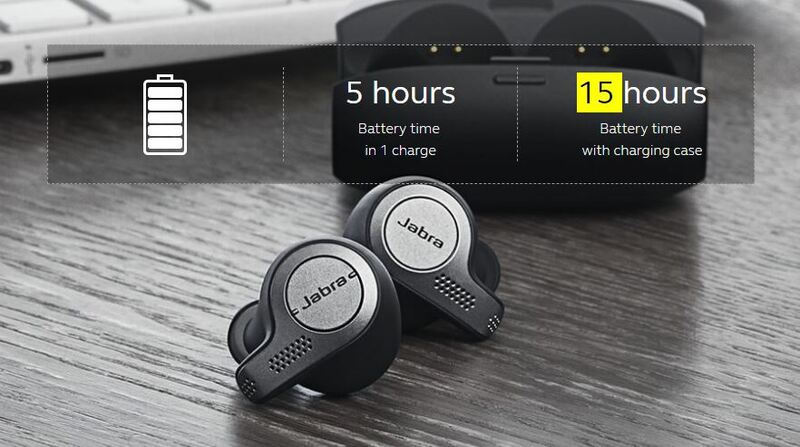 These earphones connect via Bluetooth to PCs, laptops, and smartphones. Those who constantly collaborate with multiple audio streams from different devices can pair each earpiece to a different device. Each earpiece has an integrated button that performs a host of controls. Users can single tap to answer/end calls, or double tap to quickly access Apple Siri, Amazon Alexa, and Google Assistant. The earphones have four microphones in total. They feature noise cancellation and have been certified for Skype for Business and UC. For noisy environments, the Evolve 65t is equipped with active background noise cancellation. This feature can be disabled on the fly in case the user needs to stay aware of the surroundings. With an IP55 dust and water resistance rating, the Evolve 65t will survive the rain, but not a trip underwater. The earphones run up to 5 hours on a single charge. The included charging case can recharge the headset twice, extending its maximum battery life to 15 hours. Since the earphones can be used separately, the user can also choose to wear one at a time and keep the other as a reserve. 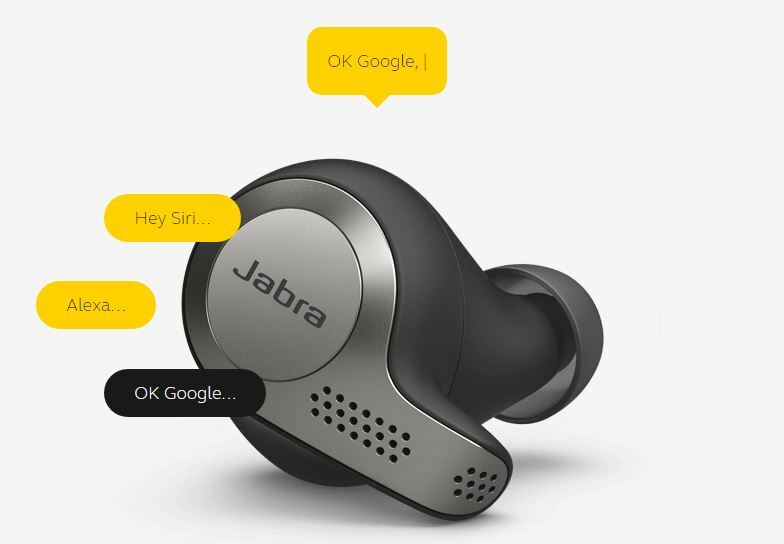 The Jabra Evolve 65t will be available starting mid-December for $439.39 CAD per pair.